This is the website of AJ6 Engineering, bringing the highest standards of technical expertise to the supply of unique Performance Parts, Electronic Control Units, Exhaust Systems, including our torque boosting TT Extractor Systems, and associated items for modern classic Jaguars. Anyone familiar with standard Jaguars will have no difficulty fitting any of our performance conversions and instructions are provide where necessary. All upgrades interchange directly with the standard items which, where appropriate, can then be returned under our exchange scheme. All our exhaust systems are fabricated from high quality stainless steel and mandrel bending machines are used to ensure accurately formed pipework. ECU upgrades are done in-house and bench tested. 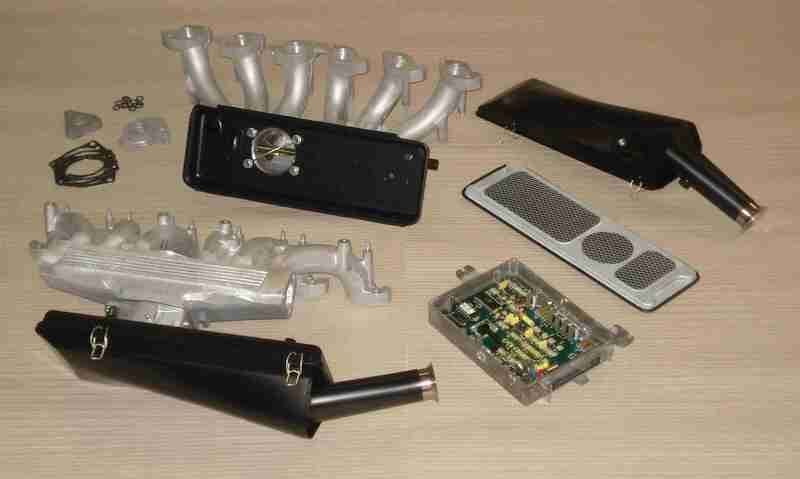 I specialise in the testing, repairing and upgrading, of fuel injection control units (ECUs) for the Jaguar V12 XJS and saloon from 1975 – 1997 and the XJS 3.6 from 1983-87. I can also deal with Bosch/Lucas L injection ECUs for the XJ6 4.2 and the early Rover V8 with Lucas L injection. Detailed instructions are included where necessary and in the event of any difficulty full technical support is available by phone, fax or email during normal UK working hours. This website contains numerous pages of explanations and technical articles based on many years of experience, much of which was gained within Jaguar’s experimental department. Further information will remain available at our old Jagweb website accessible via the link. None of our conversions make any difference to the normal service schedule other than providing a saving because the air filters are washable and re-usable. A converted car can be serviced by your usual garage who can treat it just like any similar car. Please keep your message as concise as possible and give it a relevant subject title. If there is no reply please leave a brief message when asked. Text messages cannot be received on this number.